Many people who have a living trust also create a pour-over will. A pour-over will is a legal document that states that any assets that the testator failed to transfer to the living trust during his/her lifetime will be transferred to the trust upon death. A pour-over will is created the same way any other will is created. It must have testamentary capacity- the testator must understand the nature of the document, know the extent of their property, and understand it will be distributed after death. A pour-over will must be made voluntarily, and not while a person is under duress or undue influence. The pour-over will must be in writing and signed by the testator. There must also be two witness to the signing. Usually a pour-over will is created contemporaneously with the living trust. The will needs to mention the living trust, but the trust documents should also mention the will. At San Diego Esquire, we provide affordable estate planning services to California residents. Sign up on our website today to begin the process. A pour-over will has several advantages. The first advantage of a pour-over will is simplicity. All of the assets go into the trust and will be controlled by the trust document. It is easier if for the executor to close the estate if everything is controlled by one document trust document rather than a trust document and a separate will. Another advantage of a pour-over will is completeness. The pour-over will ensures that everything a person owned is transferred into the trust including assets that a descendant did not have time to transfer into the trust before death. The final advantage of a pour-over will is privacy. When a will is entered into probate, it becomes a matter of public record, and anyone can view it, and will know how much money was given to certain people, and who the decedent disinherited. For example, when Michael Jackson died, reporters were able to read the will with the hopes of discovering who would inherit his fortune. They were sorely disappointed when the will simply transferred all of his assets into a trust and were to be distributed according to the terms of the trust. The trust documents were kept private, and the intrusive reporters were thwarted. 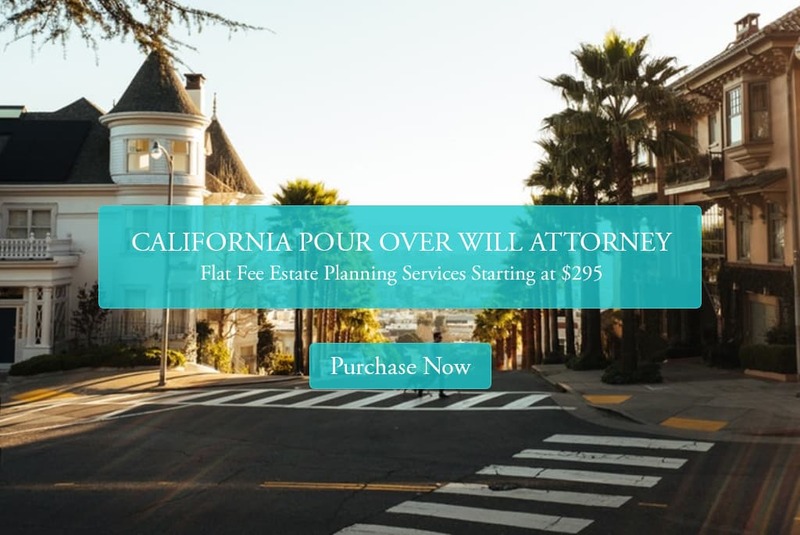 The main disadvantage to a pour-over will is that the property intended for the living trust will still have to go through probate. Probate is a court proceeding, and it is a lengthy process. On average it takes 12-18 months to close an estate through probate. The probate process entails multiple court hearings, court filings, and because of the complexity of the process, attorneys are often involved. While assets are in probate, the intended heirs will not have access to them. Probate is also expensive. Between court costs, administrative costs, and attorney fees, a probate proceeding can cost between 3-10% of the value of the estate. For large estates, that could be a considerable sum. However, if the estate has few assets (less than $150,000 in California), the estate can go through a summary probate procedure where heirs can claim assets with a sworn statement, which is much cheaper and faster than the full probate proceeding. Probate can essentially be avoided if the person actively maintains the trust and by transferring the bulk of their assets into the living trust. A pour-over will is a way to ensure that all of a person’s assets are distributed through a trust document which shortens the probate process. A person creating a pour-over will needs to ensure that he/she maintains the bulk of their property in a living trust, or else the estate could wind up in probate anyway, which was what the living trust was intended to avoid. Contact San Diego Esquire today to learn more about our services. Flat fee estate planning services starting at $295.